For each dollar spent on out of home (OOH) advertising, an average of $5.97 is generated in product sales, according to a new report released by the Outdoor Advertising Association of America (OAAA). 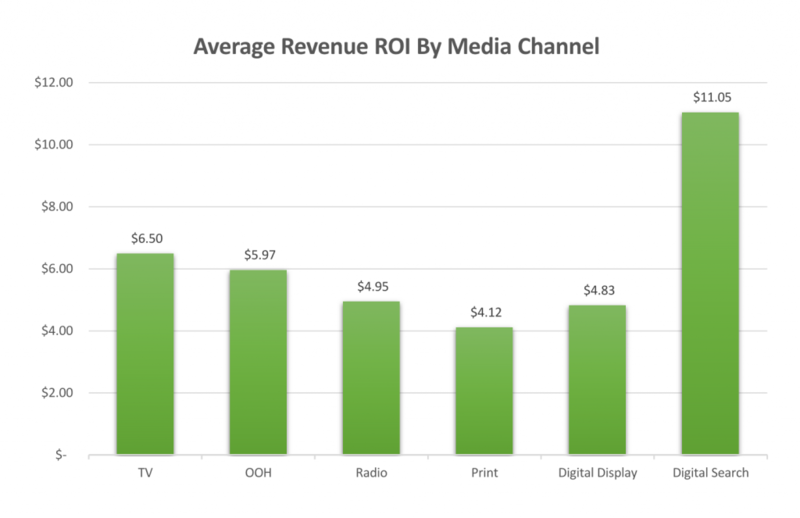 While radio, print, and digital display advertising receive a greater share of campaign dollars in the average media mix, OOH produces a higher return on investment (ROI). The report, conducted by Omnicom Media Group’s Benchmarketing, found that when OOH is incorporated into the media mix, it improves overall campaign revenue ROI. OOH increases the effectiveness of digital search by over 40 percent and print by over 14 percent.